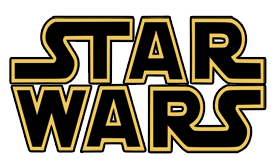 for the production of Attack of the Clones. Note the deterioration of the Garage roof, constructed in wood and plastic, in such a short time. 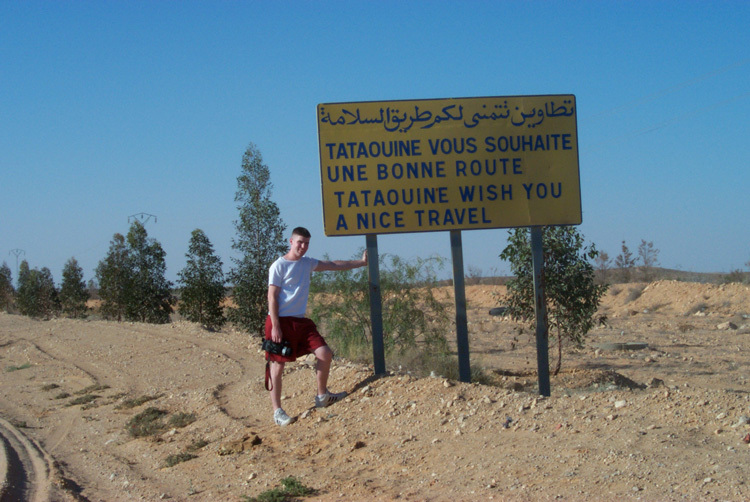 The real city of Tataouine obviously provided inspiration for Lucas. 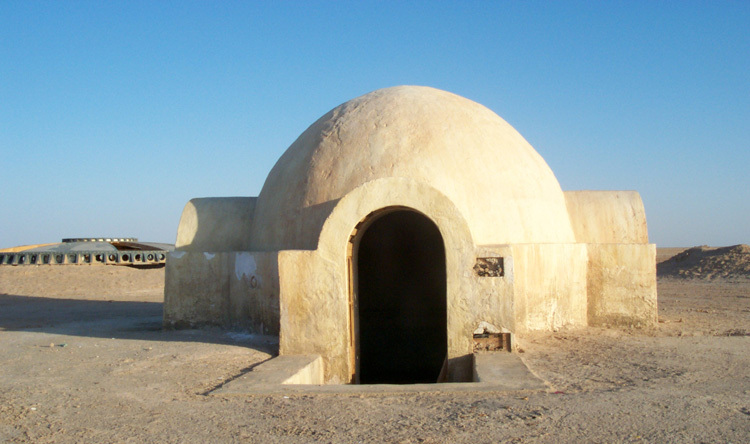 Ksar Medenine was dressed by the set decorators to represent Anakin’s home in The Phantom Menace. 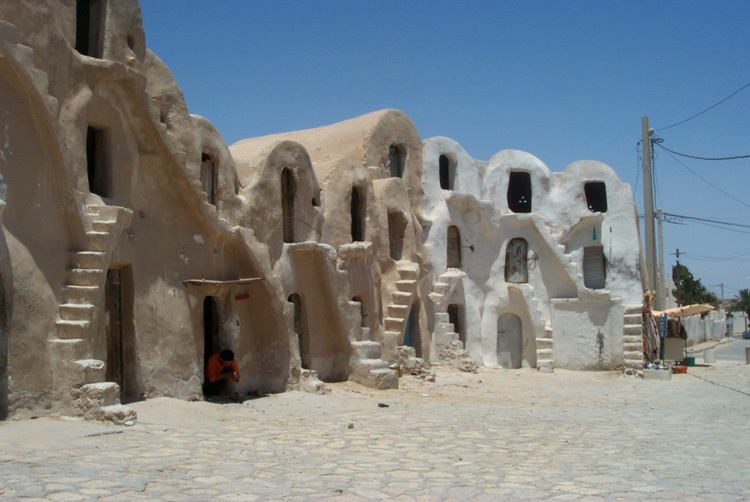 Ksar Hedada, where Qui-Gon talks to Schmi Skywalker about Anakin’s abilities. 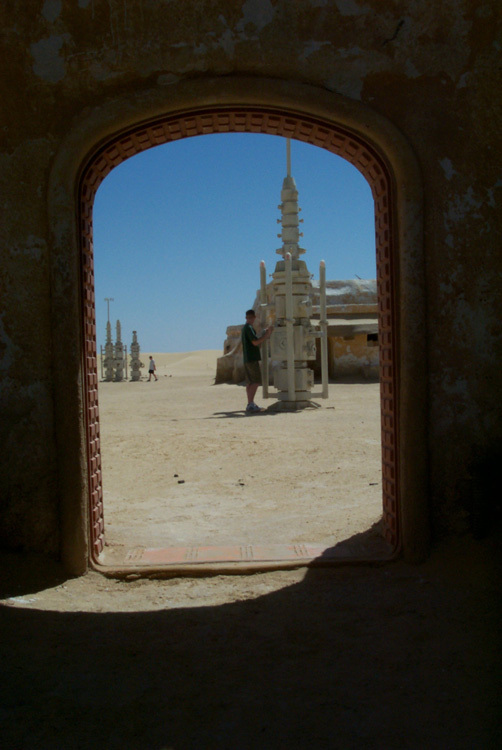 This smaller Mos Espa set, located outside of Tozuer, is a replica of Ksar Hedada. 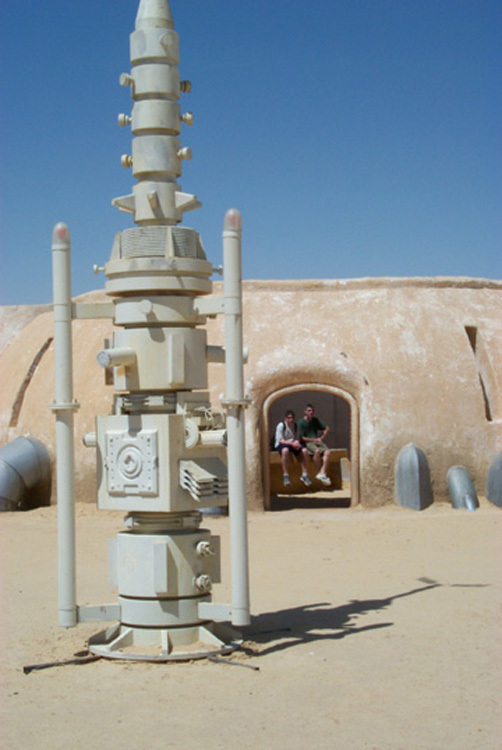 This is where Anakin fires up the podracer for the first time. 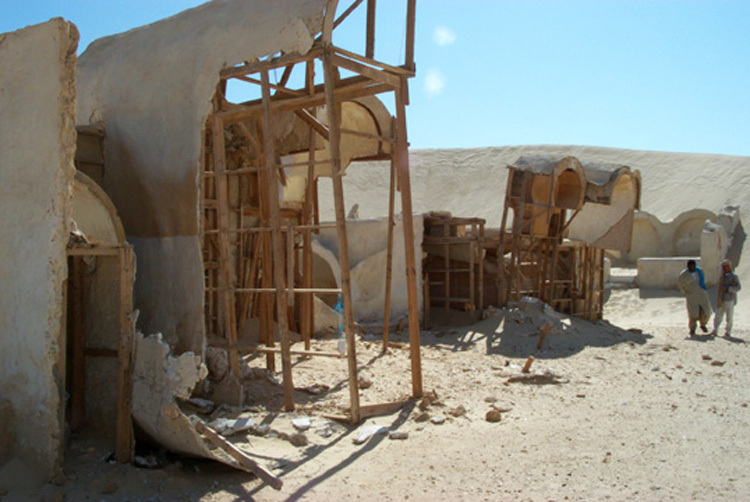 Note the damage to the set circa 2001. 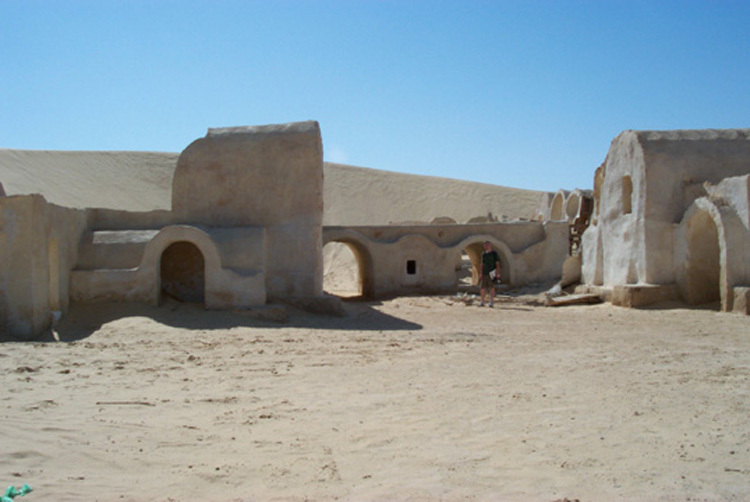 The set was constructed for The Phantom Menace in 1997. 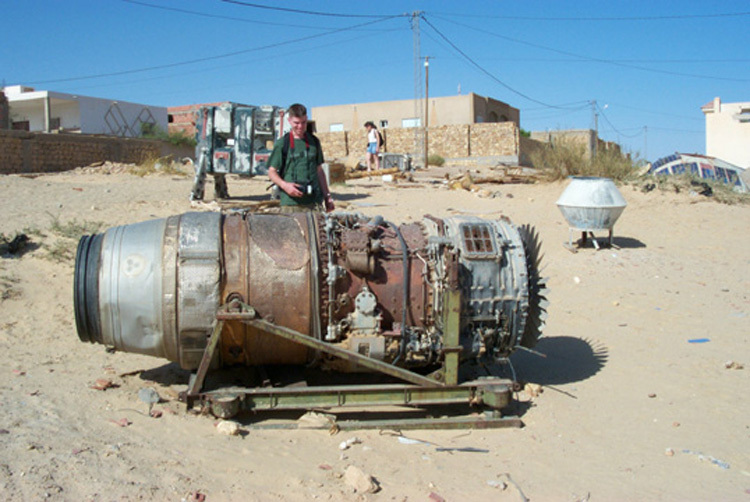 Large pieces of set dressing from Mos Espa had since been hauled into Nefta. re-dressed for use in Attack of the Clones even the moisture vaporators were still standing. 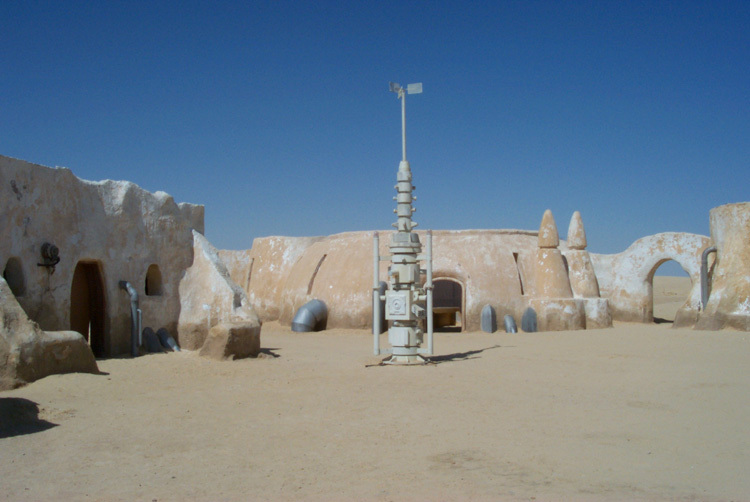 The building with the two conical towers is the exterior of Watto’s shop. 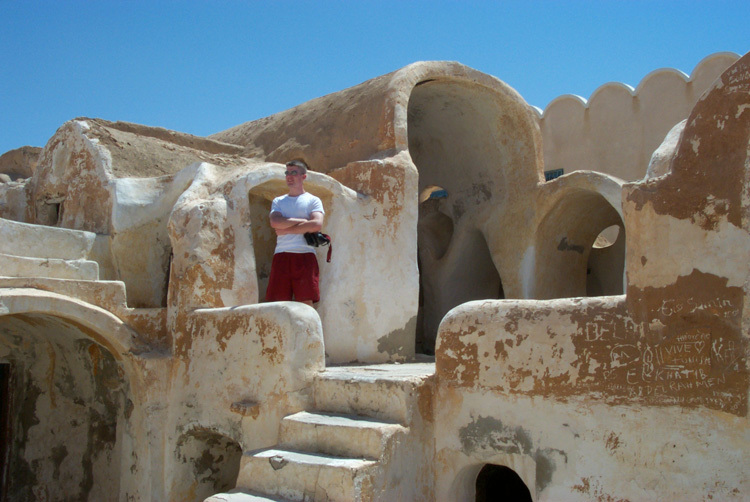 represented Mos Eisley in the original Star Wars. A wide view of the set. 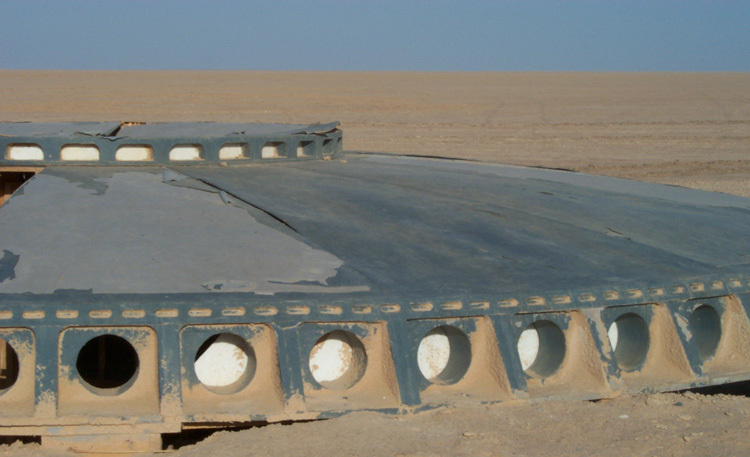 The interiors of the buildings were used as paint shops, wardrobe storage facilities, etc. 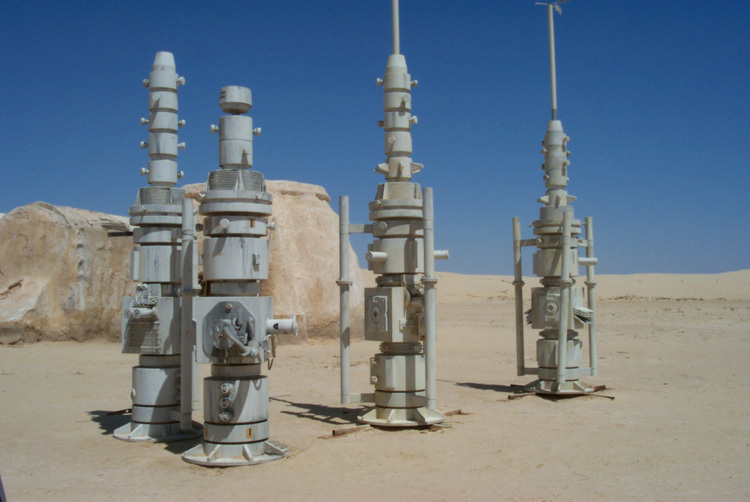 Different styles of moisture vaporators built from wood and plastic. The view out of Watto’s doorway. Looking back through the same doorway.